The makers of “A Mero hajur 3” have released a wedding dance number “Paraana” from the film. 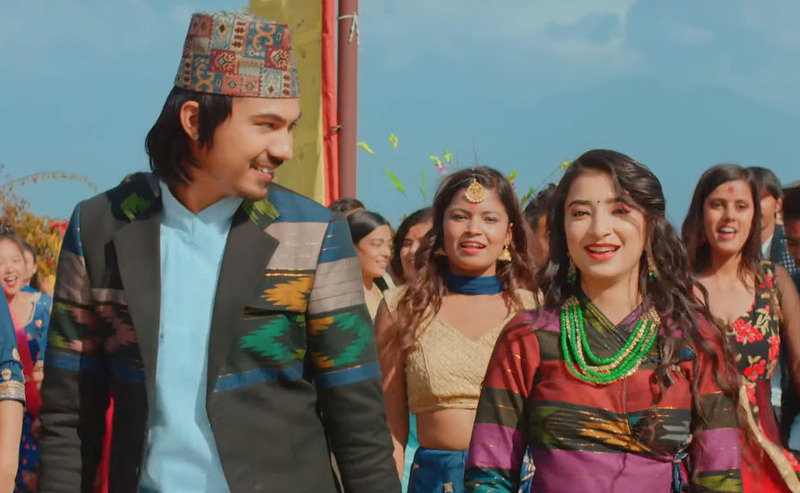 The foot tapping number is fun to watch as the lead pair Anmol KC and Suhana Thapa groove to the beats with full enthusiasm. The song hints at the blossoming love story between the two. It seems to be the wedding function of Amesh Bhandari in the film. Dressed in a dhaka choli paired with a lungi kind of a draped skirt, Suhana reminds us of her mother Jharana Thapa with her sharp looks. Sung by Ashish Aviral and Anju Panta, the song has been written by Ananta Adhikari with music by Ashish Aviral. Suhana marks her debut in Nepali Film fraternity with “A Mero Hajur 3”. The film is set to hit the theatres on Chaitra 29/ 12th April.